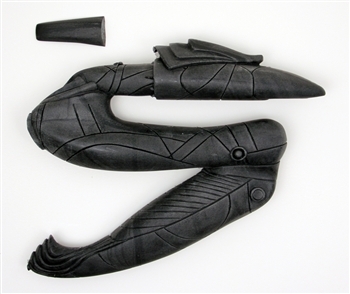 Our newly remastered solid resin cast Unassembled and Unpainted Zat' Gun kit as seen in the Star Gate series. As accurate as you can get without becoming a servant of Anubis to get one! This kit comes in two pieces, the base body and a separate "tail" cast in pressure cast black resin. Please allow 4 to 8 weeks (usually less) for shipping.